Every time I think about the retiring of the Space Shuttle fleet, it bums me out. 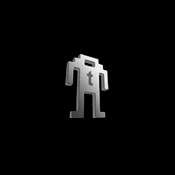 I’ve been following the Shuttle since grade school when the Challenger disaster was all we could think about. It’s sad to think that for the foreseeable future, United States astronauts will have to catch a ride with foreign governments to be able to make it into space. With the Space Shuttle fleet now retired, the massive Kennedy Space Center runway where the Shuttles used to land will no longer see astronauts returning home after touching down on its surface. 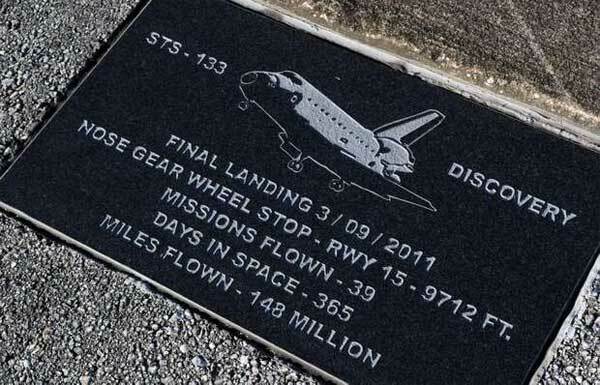 To commemorate the final three active Space Shuttles, black granite plaques have been placed alongside the runway showing where the three Shuttles made their final landings. 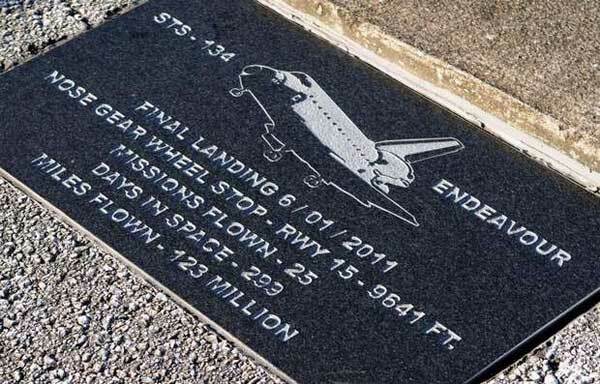 There are plaques for the Endeavour, Discovery, and Atlantis – conspicuously absent are plaques for the ill-fated shuttles Challenger and Columbia. 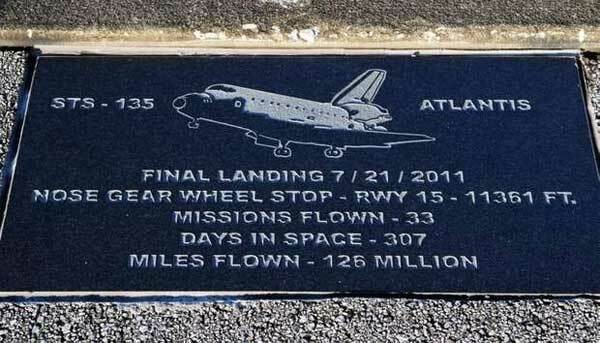 The plaques are placed where the nose gear stopped on each of the shuttle’s final missions and offer details on how many missions each shuttle flew, how many days they spent in space, and how many miles they flew.